– Live band night 24th Nov 7pm. Hand carved hot roast beef sandwiches and chips served 7pm-9.30pm. 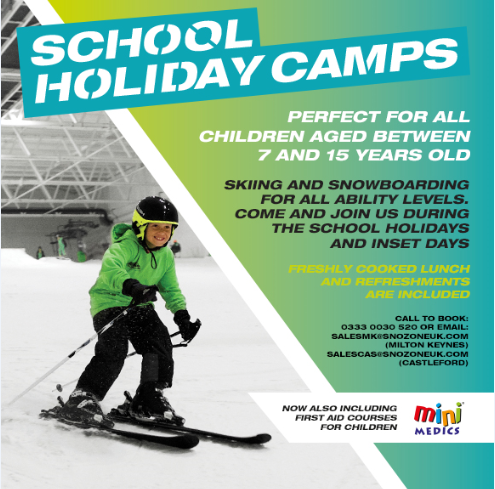 To book any of the above or find out more, call 0333 0030520 or check the Snozone website or events section of the Snozone page on Facebook. For freestyle park plans please see here or check out the park plan events page for each site on Facebook.